Are you pressed for time? Do you find that you’re always on the go, and you’re constantly wondering if you forgot to do something? You are certainly not alone. Since 2001, nearly half of Americans have said that they feel like they don’t have enough time to complete the things they need to on a daily basis. This causes unwanted stress, mood disturbances, and missed opportunities. This perceived lack of time has led many people to figure out shortcuts for many of life’s errands without sacrificing on quality and effectiveness. The term lifehack is commonly known these days, and it first generated the interest of the general public in the early 2000s. Lifehacks were popular among programmers and others in the IT field who were looking to maximize their productivity and time management. They found several shortcuts to improve their output without adversely affecting the quality of their work. Today, the concept of lifehacking has transcended IT and now has been introduced to many facets of daily life. 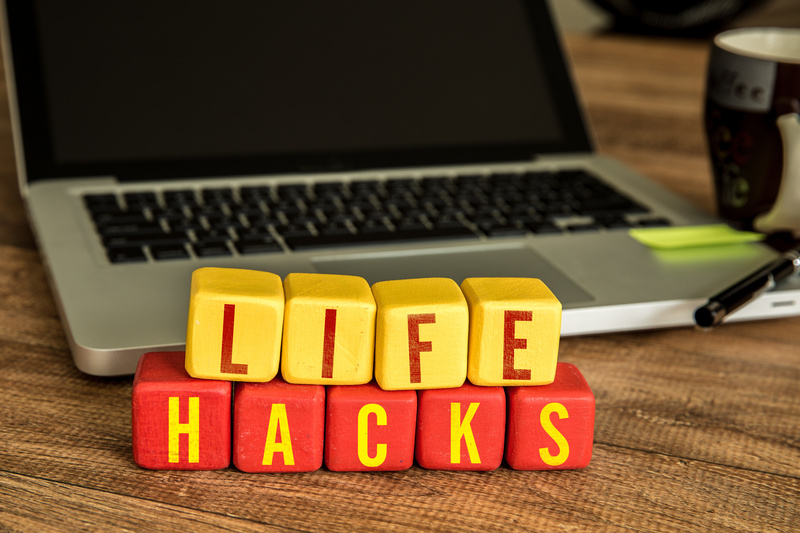 There are a number of books and websites dedicated to listing various lifehacks that can help people manage their lives. Think about your own life. Are there areas where you feel like you’re wasting your time and believe that there may be a more efficient alternative? Ask anyone waiting in line at a DMV right now, and they will absolutely say yes. The truth is that the average wait time to renew your car registration is just a little over a half hour. Obviously, you need to renew your car registration, but there has to be a way to pay your registration fees and renew your car for another year without spending a part of your off-time at the DMV. Luckily, there is. eTags.com currently services motorists in California and Florida with many more states to come. eTags.com allows members to renew their car registration online, so they don’t have to worry about making it to the DMV during regular business hours and instead can renew their registration on their time. With different shipment options, enhanced customer service and more, eTags customers can take less time for registration renewal worries and more time for other important things.